A System (from Latin systema, in turn from Greek σύστημα) is a set of interacting or interdependent entities forming an integrated whole. The scientific research field which is engaged in the study of the general properties of systems include systems theory, cybernetics, dynamical systems and complex systems. The sun, as we have already said, is placed in the middle of our system, as a source of light and heat, to illuminate and vivify all the planets subordinate to it. Without his benign influence the earth would be a mere block, which in hardness would surpass marble and the most compact substances with which we are acquainted ; no vegetation, no motion would be possible: in a word, it would be the abode of darkness, inactivity and death. The first rank therefore among inanimate beings cannot be refused to the sun ; and if the error of addressing to a created object that adoration which is due to the Creator atone could admit of excuse, we might be tempted to excuse the homage paid to the sun by the ancient Persians, as is still the ease among the Guebres, their successors, and some savage tribes in America. Jacques Ozanam (1640-1717) Recreations in mathematics and natural philosophy : Volume 3 van Recreations in Mathematics and Natural Philosophy. Published 1803. p. 140. Systems... resemble the similar parts or muscles of a body natural. By systemes; I understand any numbers of men joyned in one Interest, or one Businesse. Of which, some are Regular, and some Irregular. Regular are those, where one Man, or Assembly of men, is constituted Representative of the whole number. All other are Irregular. Of Systemes subordinate, some are Politicall, and some Private. Politicall (otherwise Called Bodies Politique, and Persons In Law,) are those, which are made by authority from the Soveraign Power of the Common-wealth. Private, are those, which are constituted by Subjects amongst themselves, or by authoritie from a stranger. For no authority derived from forraign power, within the Dominion of another, is Publique there, but Private. And of Private Systemes, some are Lawfull; some Unlawfull: Lawfull, are those which are allowed by the Common-wealth: all other are Unlawfull. Irregular Systemes, are those which having no Representative, consist only in concourse of People; which if not forbidden by the Common-wealth, nor made on evill designe, (such as are conflux of People to markets, or shews, or any other harmelesse end,) are Lawfull. But when the Intention is evill, or (if the number be considerable) unknown, they are Unlawfull. ... And this is all I shall say concerning Systemes, and Assemblyes of People, which may be compared (as I said,) to the Similar parts of mans Body; such as be Lawfull, to the Muscles; such as are Unlawfull, to Wens, Biles, and Apostemes, engendred by the unnaturall conflux of evill humours. According to the common system, before the creation of Matter, there was nothing but God, whose essence is immutable, and cannot be the pre-existent subject of Bodies. J. de la Crose (1693). Memoirs for the ingenious. p. 81. In proportion, therefore, as a system is of vast extent and made for duration, the more it requires to be governed by a simple and general law. We have only to attend to the solar system, and we shall perceive the utility of a central body on which the whole depends. In virtue of this body, it rarely happens that the planets and comets disturb each other, and these extraordinary instances form but trifling exceptions. But were we to retrench the central body, the general law would be destroyed, and the exceptions alone would remain. Harmony, in that case, must be the result of an infinite combination, of individual and discordant impulsions; insomuch, that the more our view of the whole became comprehensive, the more we should find the system, instead of tending to simplicity, confused and perplexed. The different progress of opulence in different ages and nations, has given occasion to two different systems of political economy, with regard to enriching the people. The one may be called the system of commerce, the other that of agriculture. I shall endeavour to explain both as fully and distinctly as I can, and shall begin with the system of commerce. It is the modern system, and is best understood in our own country and in our own times. 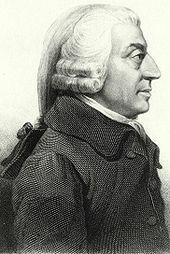 Adam Smith (1795). Essays on philosophical subjects. p. 60. A system is of vast extent and made for duration, the more it requires to be governed by a simple and general law. By a system I mean the unity of various cognitions under one idea. A system is an imaginary machine invented to connect together in the fancy those different movements and effects which are already in reality performed. 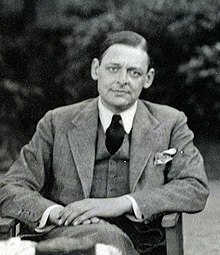 Some writers have exclaimed bitterly against systems of divinity, others have exaggerated the utility of them. Perhaps the truth may be, neither side has taken sufficient pains to understand the other. 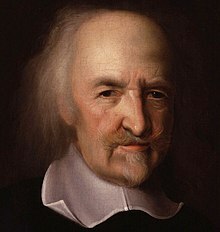 Theology reduced to a system is nothing more than a regular arrangement of what we hold for religion, and there can be no damage done by such orderly dispositions of truths : on the contrary, much benefit arises to a student of divinity by them, for a system is as advantageous to a minister, as a regular set of books to a merchant. Jean Claude (1782). An essay on the composition of a sermon. p. 396. By the term architectonic I mean the art of constructing a system. Without systematic unity, our knowledge cannot become science; it will be an aggregate, and not a system. Thus architectonic is the doctrine of the scientific in cognition, and therefore necessarily forms part of our methodology. Reason cannot permit our knowledge to remain in an unconnected and rhapsodistic state, but requires that the sum of our cognitions should constitute a system. It is thus alone that they can advance the ends of reason. By a system I mean the unity of various cognitions under one idea. This idea is the conception--given by reason--of the form of a whole, in so far as the conception determines a priori not only the limits of its content, but the place which each of its parts is to occupy. The scientific idea contains, therefore, the end and the form of the whole which is in accordance with that end. The unity of the end, to which all the parts of the system relate, and through which all have a relation to each other, communicates unity to the whole system, so that the absence of any part can be immediately detected from our knowledge of the rest; and it determines a priori the limits of the system, thus excluding all contingent or arbitrary additions. The whole is thus an organism (articulatio), and not an aggregate (coacervatio); it may grow from within (per intussusceptionem), but it cannot increase by external additions (per appositionem). It is, thus, like an animal body, the growth of which does not add any limb, but, without changing their proportions, makes each in its sphere stronger and more active. We require, for the execution of the idea of a system, a schema, that is, a content and an arrangement of parts determined a priori by the principle which the aim of the system prescribes. 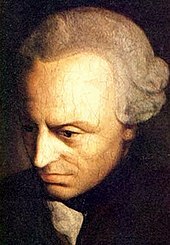 Immanuel Kant (1787). The Critique of Pure Reason. Systems seem, like certain worms, to be formed by a kind of generatio aequivoca--by the mere confluence of conceptions, and to gain completeness only with the progress of time. When Newton first discovered the property of attraction, and settled its laws, he found it served very well to explain several of the most remarkable phenomena in nature ; but yet with reference to the general system of things, he could consider attraction but as an effect, whose cause at that time he did not attempt to trace. But when "he afterwards began to account for it by a subtile elastic æther, this great man (if in so great a man it be not impious to discover any thing like a blemish) seemed to have quitted his usual cautious manner of philosophising; since, perhaps, allowing all that has been advanced on this subject to be sufficiently proved, I think it leaves us with as many difficulties as it found us. That great chain of causes, which links one to another, even to the throne of God himself, can never be unravelled by any industry of ours. When we go but one step beyond the immediately sensible qualities of things, we go out of our depth. Edmund Burke (1792). Works, Volume 1. p. 198. Systems in many respects resemble machines. A machine is a little system, created to perform, as well as to connect together, in reality, those different movements and effects which the artist has occasion for. A system is an imaginary machine invented to connect together in the fancy those different movements and effects which are already in reality performed... The machines that are first invented to perform any particular movement are always the most complex, and succeeding artists generally discover that, with fewer wheels, with fewer principles of motion, than had originally been employed, the fame effects may be more easily produced. The first systems, in the fame manner, are always the most complex, and a particular connecting chain, or principle, is generally thought necessary to unite every two seemingly disjointed appearances : but it often happens, that one great connecting principle is afterwards found to be sufficient to bind together all the discordant phænomena that occur in a whole species of things. Formidable as the idea of a system of divinity may appear to young people, it is very certain that, if they are to study religion at all as a science, it cannot be studied to any good purpose, otherwise than systematically. A system is a methodical arrangement of propositions and proofs; and without such arrangement, no distinct and certain knowlege of any subject can be obtained. The thing to be desired in instruction is not to lay aside systems, but to simplify them. Systems (or bodies) of divinity, particularly, have been encumbered with a vast mass of heterogeneous matter, which even the divine by profession has not been able to digest. It is very evident that such systems are not proper even for the higher seminaries of learning, much less for common schools. J. G. Burckhardt (1797). "A System of Divinity, for the Use of Schools, and for instructing Youth in the essential Principles and Duties of Religion". In: The Monthly review by Ralph Griffiths & George Edward Griffiths, 1797. The universe is composed of matter, and, as a system, is sustained by motion. Motion is not a property of matter, and without this motion the solar system could not exist. Were motion a property of matter, that undiscovered and undiscoverable thing, called perpetual motion, would establish itself. It is because motion is not a property of matter, that perpetual motion is an impossibility in the hand of every being, bat that of the Creator of motion. When the pretenders to Atheism can produce perpetual motion, and not till then, they may expect to be credited. Thomas Paine (1798) "A Discourte delivered by Thomas Paine, at the Society of the Theophilanthropists at Paris, 1798". In: The Monthly review, or, Literary journal, Volume 30. by Ralph Griffiths, G. E. Griffiths, 1798. All things which exist in nature are a whole, and at the same time a part of a larger whole. § 3. The powers and the productions of nature are coexistent . All power is as it were a law under which a given production holds its existence, but in such a manner that all power is the finite revelation of an infinite law. To act and to exist is the same thing. Power therefore is nature without production ; Production is matter without power. Neither exists in nature by itself. § 4. All the powers of nature are more or less perfect manifestations of one primitive power, which acts by its different productions according to the same eternal, immutable, absolute laws. But the powers of nature act only by mutual reaction ; so that each power of nature becomes in its products impeded, interrupted, or quiescent. § 5, All things which exist in nature are a whole, and at the same time a part of a larger whole. They are capable of being themselves resolved into other wholes until the human mind sinks under ideas of sublimity and subtilty which are imperceptible to it,—of the universe and of atoms. § 6. It is impossible for the human mind, itself a finite creation, to regard nature, whether her powers or her productions are considered, in the light of the whole manifestation of an infinite power, but only as parts or fragments of such manifestation. But to comprehend these as one whole, that is, as an eternal and immutable yet ever varying body, or, as innumerable forms of one highest whole, is the end. of all disquisition, the sum of which we call a System. § 7. A system contains within itself the seeds of some more complete evolution, but it does not admit of arbitrary alterations. Not that any absolute system can ever be contrived; for I am by no means of the opinion of those who expect that a system is to be as unchangeable as if it were petrified. § 8. If nature be closely pursued, a system is called Natural; if this Ariadnean thread be not followed, it is called Artificial or factitious. § 9. A system of nature proceeding from subjects of the most simple organization to such as are more perfect, or from the circumference to the centre, is called a Mathematical System. § 10. A system of nature which takes for the basis of its arrangement the order of development of individuals is called Physiological. § 11. Philosophical systems do not depend upon individual productions which are subject to continual variation, but upon eternal and unchangeable ideas. These always proceed from the centre to the circumference, or from the most perfect productions to those of a lower order. This is the method of my Mycological system, rfnd it agrees with the mathematical system if the order be inverted. A Philosophical system depends upon the laws of logic; for the laws of logic are by no means notions contrived by man, but eternal and immutable, and established by Nature herself. As the rotation of the heavenly bodies, discovered after the laws of mathematics, must necessarily follow those laws; so also no observation in nature can invalidate the laws of logic. For the laws of logic are the laws of nature. § 12. A Philosophical system is superior to all others. It may at first appear, perhaps, of little moment, what way we follow follow in enumerating the productions of nature ; but if one way is more certain and more facile than another, that is surely to be preferred. John Lindley (1826). "Some Account of the Spherical and Numerical System of Nature o/M. Elias Fries". In: Philosophical magazine: a journal of theoretical, experimental and applied physics, Volume 68, 31st August 1826. When a system is brought before the public, professing to be new, and claiming to be considered as peculiarly useful, it is incumbent on those who introduce it, to show in what respects it is original, and why it is an improvement. Emma Willard (1838). A system of universal geography on the principles of comparison and classification. In my opinion a system of operations, to be efficient and successful, should be such as to give to the principal and responsible head of the running department a complete daily history of details in all their minutiae. Without such supervision, the procurement of a satisfactory annual statement must be regarded as extremely problematical. The fact that dividends are earned without such control, does not disprove the position, as in many cases the extraordinarily remunerative nature of an enterprise may ensure satisfactory returns under the most loose and inefficient management. Daniel McCallum (1855) "Report of the Superintendent of the New York and Erie Railroad to the Stockholders, for the Year Ending September 30" in: Annual Report. New York and Erie Railroad Company, 1856. p. 35-36. SYSTEM (σύστημα, σύν ἵστημιavu, to place together) — is a full and connected view of all the truths of some department of knowledge. An organized body of truth, or truths arranged under one and the same idea, which idea is as the life or soul which assimilates all those truths. No truth is altogether isolated. Every truth has relation to some other. And we should try to unite the facts of our knowledge so as to see them in their several bearings. This we do when we frame them into a system. To do so legitimately we must begin by analysis and end with synthesis. But system applies not only to our knowledge, but to the objects of our knowledge. Thus we speak of the planetary system, the muscular system, the nervous system. We believe that the order to which we would reduce our ideas has a foundation in the nature of things. And it is this belief that encourages us to reduce our knowledge of things into systematic order. The doing so is attended with many advantages. At the same time a spirit of systematizing may be carried too far. It is only in so far as it is in accordance with the order of nature that it can be useful or sound. Condillac has a Traite des Systemes, in which he traces their causes and their dangerous consequences. William Fleming, Vocabulary of philosophy, mental, moral, and metaphysical; with quotations and references; for the use of students, 1857, p. 503. Ludwig Häusser (1873). The period of the reformation, 1517-1648. p. 245. A system is not so important as a method. A system is of significance because it brings order and clearness into our knowledge, but he who hopes by its help to reach something more, he who thinks to extend his knowledge by means of a system is self-deceived. Harald Høffding (1900). A history of modern philosophy: a sketch of the history of philosophy from the close of the Renaissance to our own day, Volume 2. A system is of significance because it brings order and clearness into our knowledge, but he … who thinks to extend his knowledge by means of a system is self-deceived. John Ames Mitchell (1902). Life p. 552. Now a system is nothing but a mental connexion applied to a number of isolated events. William Smith (1906). The Quarterly review. p. 465. A system is a whole which is composed of various parts. But it is not the same thing as an aggregate or heap. In an aggrete or heap, no essential relation exist between the units of which it is composed. In a heap of grain, or pile of stones, one may take away part without the other part being at all affected thereby. But in a system, each part has a fixed and necessary relation to the whole and to all the other parts. For this reason we may say that a building, or a peace of mechanisme, is a system. Each stone in the building, each wheel in the watch, plays a part, and is essential to the whole. James Edwin Creighton (1909). An introductory logic‎. p. 339-340. Frederick Winslow Taylor (1911) Principles of Scientific Management. p. 2. A system is a plan or scheme of doctrines intended to develop a particular view. Albert Mackey (1919). An encyclopedia of freemasonry and its kindred sciences. p. 755. A "representation" of a system is not a knowledge of this system, but is this system itself becoming an object, an element of experience..
Florian Znaniecki (1919). Cultural reality‎. p. 231. The complexity of a system is no guarantee of its accuracy. John Packard Jordan (1920). Cost accounting; principles and practice. p. 7. In terms of the quantum theory, a system is defined as a collection of bands corresponding to a common transition between two major electron levels. Sets of bands in a system can be selected such that the frequency intervals between successive bands in the set change in an arithmetic progression. These sets can be chosen in two different ways, the frequency intervals increasing in opposite directions in the two sets. Deslandres, who did the pioneer work in this field, called one series of such sets " first progressions," and the other series " second progressions." An entire system of bands, often eighty or more in number, can thus be represented as a function of two parameters p and n. The parameter n varies in a first progression, p remaining constant. The parameter p varies in a second progression, n remaining constant. Raymond T. Birgg (1926) "Electronic bands". In: Bulletin of the National Research Council‎. Vol 11. March to December 1926. National Research Council (U.S). p. 73. Each atom is a system of all things. Alfred North Whitehead (1929). Process and reality. p. 53. Irving Babbitt (1930), "What I Believe"
A system is said to be coherent if every fact in the system is related every other fact in the system by relations that are not merely conjunctive. A deductive system affords a good example of a coherent system. Lizzie Susan Stebbing (1930) A modern introduction to logic. p. 198. The ordinary logic has a great deal to say about genera and species, or in our nineteeth century dialect, about classes. Now a class is a set of objects compromising all that stand to one another in a special relation of similarity. But where ordinary logic talks of classes the logic of relatives talks of systems. A system is a set of objects compromising all that stands to one another in a group of connected relations. Induction according to ordinary logic rises from the contemplation of a sample of a class to that of a whole class; but according to the logic of relatives it rises from the comtemplation of a fragment of a system to the envisagement of the complete system. 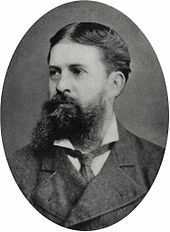 Charles Sanders Peirce (1839 – 1914) Collected papers of Charles Sanders Peirce, Volume 3. Published 1930. p. 5. Systems, scientific and philosophic, come and go. Each method of limited understanding is at length exhausted. In its prime each system is a triumphant success: in its decay it is an obstructive nuisance. Alfred North Whitehead (1933) Adventures of Ideas, p. 203. Lewin formally defines a Gestalt as: "a system whose parts are dynamically connected in such a way that a change of one part results in a change of all other parts." Kurt Lewin (1936) Principles of Topological Psychology p. 218, as cited in: Granville Stanley Hall, Edward Bradford Titchener, Karl M. Dallenbach (1937) The American journal of psychology. Vol. 50, p. 374. When a transfer of matter to or from a system is also possible, the system may be called an open system. Frank Henry MacDougall (1939). Thermodynamics and chemistry‎. p. 134. Earl Bowman Millard (1946). Physical chemistry for colleges: a course of instruction. p. 30. No system would have ever been framed if people had been simply interested in knowing what is true, whatever it may be. What produces systems is the interest in maintaining against all comers that some favourite or inherited idea of ours is sufficient and right. A system may contain an account of many things which, in detail, are true enough; but as a system, covering infinite possibilities that neither our experience nor our logic can prejudge, it must be a work of imagination and a piece of human soliloquy: It may be expressive of human experience, it may be poetical; but how should anyone who really coveted truth suppose that it was true? Marvin Gerard Cline (1950). Fundamentals of a theory of the self: some exploratory speculations‎. p. 45. Walter John Moore (1950). Physical chemistry. p. 56. A system is any portion of the universe set aside for certain specified purposes. For our concern, a system is set aside from the universe in a manner that will enable this system to be built without having to consider the total universe. Therefore, the system is set aside from the universe by its inputs and outputs--its boundaries. The system may be said to be in operation when its inputs are being transformed into the required outputs. (Incidently, we are not here concerned with completely closed systems.) The systems that do concern us all have a number of components within their boundaries which together effect the transformation of the inputs to the required outputs. A man-machine system is one in which the components are comprised of both men and machines. Keep in mind that it is only when the components are operating together that the inputs are transformed into the proper outputs. Within this definition, a system may be anything from an amoeba to a transistor, to a weapon system, to a planet--depending on what the specified inputs and outputs are. The systems that specifically concern us are complex man-machine systems that have to be built. Kay Inaba et al. (1956). "A rational method for applying behavioral technology to man-machine system design". In: Symposium on Air Force Human Engineering, Personnel and Training Research: papers. Volume 455 van Publication National Research Council, U.S. p. 65-66. A system is primarily a living system, and the process which defines it is the maintenance of an organization which we know as life. Ralph W. Gerard (1958). Units and Concepts of Biology. Modern positivists are apt to see more clearly that science is not a system of concepts but rather a system of statements. Karl Raimund Popper (1959) The logic of scientific discovery. p. 11-12. A system is a set of objects with relationships between the … in may be described generally as a complex of elements or components directly or indirectly related in a causal network, … Also, we are mainly interested in systems within which some process is continually going on, including an interchange with an environment across the boundary. It is generally agreed that when we deal with the more open system with a highly flexible structure, the distinction between the boundaries and the environment becomes a more and more arbitrary matter, dependent upon the purpose of the observer. Arthur D. Hall (1962) as cited in: Addison C. Bennett (1978) Improving management performance in health care institutions: a total systems approach. p. 40. Synergy is the only word in our language that means behavior of whole systems unpredicted by the separately observed behaviors of any of the system's separate parts or any subassembly of the system's parts. There is nothing in the chemistry of a toenail that predicts the existence of a human being. Buckminster Fuller (1963) Operating Manual for Spaceship Earth. USAF (1964) Air Force Systems Command Manual UFSCM 375-5, February 1964: Cited in: Harold Chestnut (1967) Systems Engineering Methods. p. 36-37. Harold Chestnut (1965) Systems Engineering Tools by Harold Chestnut. Wiley. A system is not something given in nature, but something defined by intelligence... We select, from an infinite number of relations between things, a set which, because of coherence and pattern and purpose, permits an interpretation of what might otherwise be a meaningless cavalcade of arbitrary events. It follows that the detection of system in the world outside ourselves is a subjective matter. Two people will not necessarily agree on the existence, or nature, or boundaries of any systems so detected. Anthony Stafford Beer (1966, p. 242–3) as cited in: John Mingers (2006) Realising Systems Thinking: Knowledge and Action in Management Science. p. 86. The concept of a system is not a simple or unique one. There are many different kinds of systems, and different systems may be organized and operated in different ways. As individuals we all belong to some social system, we participate in an economic system, we are the product of several educational systems, and we are members of one or more family systems. In a similar fashion, the equipment of which physical systems are made may be members of many other systems, such as electrical, mechanical, sensing, actuating, energy, materials, and/or information systems. One of the challenges to the person who engineers a system is to find the many alternative ways in which the function, the operation, and/or the equipment of concern and interest may be considered, understood, and made to perform most effectively. Harold Chestnut (1967) Systems Engineering Methods p. 1. A system can be defined as a set of elements standing in interrelations. Ludwig von Bertalanffy (1968). General system theory: foundations, development, applications‎. p. 55. 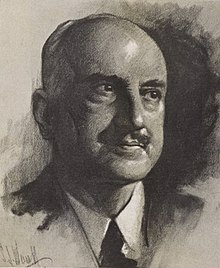 Talcott Parsons (1968) "Systems Analysis: Social Systems" in: International Encyclopedia of the Social Sciences. cited in: Ida R. Hoos (1972) Systems Analysis in Public Policy: A Critique. p. 458. The old art depicted space as uniform and enclosed. The new art perceives space as organic and open. The old art was an object. The new art is a system. The configuration of the movement is more important than the shape of the object. The message of a kinetic and luminic work is the light and movement it produces. It has no other message. It has no meaning besides movement. A system is anything that is not chaos, and even though history seems highly chaotic at times, we have an intuitive feeling that it is not pure chaos. Kenneth E. Boulding. (1971). Collected Papers: Toward a general social science. L. D. Singell (ed). p. 151. Ervin László (1972) Introduction to Systems Philosophy: Toward a New Paradigm of Contemporary Thought. xvii. Everyone knows what engineering is. All that's left is to define systems, and I'm not fool enough to do that. Robert Machol (1971) in: Paul Lewis "Mathmaticians Are Useful." The California Tech. May 6, 1971. p. 1: Machol explains his definition of systems engineering. Systems science is the ordered arrangement of knowledge acquired from the study of systems in the observable world, together with the application of this knowledge to the design of man-made systems. Philip M'Pherson (1974). A perspective on systems science and systems philosophy. Futures, 6, p. 229. As any poet knows, a system is a way of looking at the world. Gerald Weinberg (1975) Introduction to General Systems Thinking. p. 52. Russell L. Ackoff (1981) , Creating the Corporate Future. p. 15-16. A system is recognized as such by remaining recognizable as 'itself' in spite of changes in its detailed appearance. Anatol Rapoport. (1986). General system theory: essential concepts & applications‎. p. 8. With increasing size and complexity of the implementations of information systems, it is necessary to use some logical construct (or architecture) for defining and controlling the interfaces and the integration of all of the components of the system. John Zachman (1987) "A framework for information systems architecture". In: IBM Systems Journal, Vol 26, Issue 3, p. 276. Robert Rosen, "Some comments on systems and system theory." in: International Journal of General Systems. Vol 13, (1986); p. 1. Peter Bernus, Laszlo Nemes, and R. Morris (1994) "Possibilities and limitations of reusing enterprise models." IFAC Workshop, Proceedings from Intelligent Manufacturing Systems. Today the network of relationships linking the human race to itself and to the rest of the biosphere is so complex that all aspects affect all others to an extraordinary degree. Someone should be studying the whole system, however crudely that has to be done, because no gluing together of partial studies of a complex nonlinear system can give a good idea of the behaviour of the whole. Murray Gell-Mann in ISSS The Primer Project International Society for the Systems Sciences (ISSS) seminar, October 12 - November 10, 1997. The term “system” is unquestionably one of the most widely used terms not only in science, but in other areas of human endeavor as well. It is a highly overworked term, which enjoys different meanings under different circumstances and for different people. However, when separated from its specific connotations and uses, the term "system" is almost never explicitly defined. George Klir (2001) Facets of Systems Science, p. 4. A self–organizing system acts autonomously, as if the interconnecting components had a single mind. And as these components spontaneously march to the beat of their own drummer, they organize, adapt, and evolve toward a greater complexity than one would ever expect by just looking at the parts by themselves. L.K. Samuels, In Defense of Chaos: The Chaology of Politics, Economics and Human Action. Cobden Press, (2013) p. 225. M.A.K. Halliday (2005, p. 68) as cited in: Andrew Halliday and Marion Glaser (2011) "A Management Perspective on Social Ecological Systems". In: Human Ecology Review, Vol. 18, No. 1, 2011. In the most abstract sense, a system is a set of objects together with relationships among the objects. Such a definition implies that a system has properties, functions, and dynamics distinct from its constituent objects and relationships. A system is a set of things — people, cells, molecules, or whatever — interconnected in such a way that they produce their own pattern of behavior over time... The system, to a large extent, causes its own behavior. Donella Meadows (2008) Thinking in systems: A Primer. p. 2 as cited in: Stephen M Millett (2011) Managing the Future: A Guide to Forecasting and Strategic Planning. p. 51. Any virtue systematically applied becomes a vice. Morality is attention, not system. Societies grow into systems. The systems require management and are therefore increasingly wielded, like a tool or a weapon, by those who have power. The rest of the population is still needed to do specific things. But the citizens are not needed to contribute to the form or direction of the society. The more "advanced" the civilization, the more irrelevant the citizen becomes. A system is only for the philosopher, for a system implies analysis, and the poetic method is essentially synthesis. In: The Academy, Volume 59, 1900. A system is a body composed of two or more components or phases. In: Iron and steel: (a pocket encyclopedia), p. 220. 1910. In: The Independent, 1915. p. 428. When a system is radically wrong, we must abandon that system and find a better one. In: Annals of the American Academy of Political and Social Science, Volumes 69-71 1917. System is what differentiates the professional from the amateur. In: "Get yourself a system‎" in: The Rotarian. juli 1943 - v. 63. p. 34. Definitionen von "System" (1572-2002) by Roland Müller, 2001-2007 (most in German). This page was last edited on 15 December 2018, at 19:06.